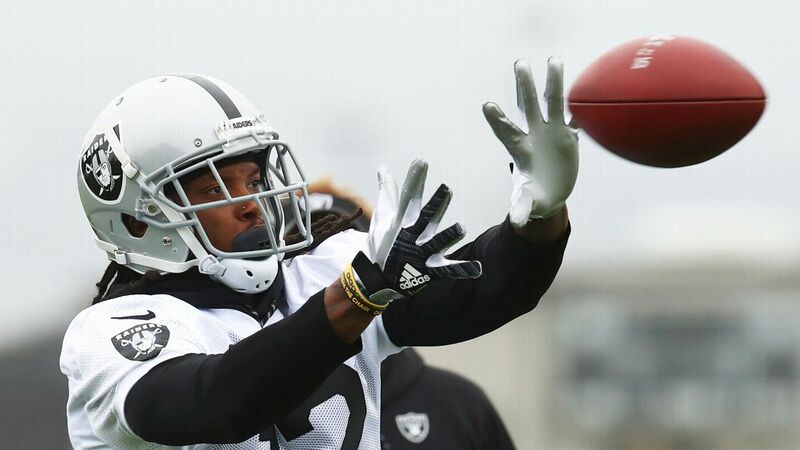 The Oakland Raiders releasedMartavis Bryanton Saturday. The wide receiver is facing a suspension for violating the NFL's substance-abuse policy, sources told ESPN's Dan Graziano. Bryant ran afoul of the NFL's drug policy at some point this offseason, the sources said, and it was the second violation for the receiver. The suspension could be for a full season, though the appeal process currently underway could shorten it or even eliminate it. The Raiders were hoping to get resolution before the 4 p.m. ET Saturday deadline for roster submission but did not, and while there was uncertainty about Bryant's status, general manager Reggie McKenzie insisted that was not the reason Oakland released him. "The bottom line: With the competition we had, we feel like we got some good players, man," he said. "And with Martavis, he missed some practice, a lot of practice time with minor ailments, and guys just came in and competed. And at the end of the day, the guys we rewarded were the guys who came to work every day and made plays. "We just didn't see it from him at the end of the day. It made it clear that he was not going to be one of the guys we were going to be able to count on." The Raiders traded for Bryant during the 2018 NFL draft, sending athird-round draft pick to the Pittsburgh Steelers. Bryant, 26, missed the entire 2016 season because of a suspension for violating the NFL's substance-abuse policy but returned to haul in 50 receptions for 603 yards and three touchdowns last season. During training camp, Raiders coach Jon Grudenlamented Bryant's missing practice and not being "versatile" enough as a receiver. In his final news conference of training camp, Gruden made a quip about Bryant after the receiver practiced after missing the previous two days with migraine headaches. "We're calling Martavis 'The White Tiger,'" Gruden said. "I used to go to Busch Gardens in Tampa. ... You know, you go to Busch Gardens, and they got a white tiger? You go 12 times, 13 times I went to Busch Gardens, and the white tiger was always in his cage. Well, the white tiger came out today. Bryant came out. I don't know if you get that analogy, but sometimes he comes out to play, and sometimes he doesn't. And it's good to see him because he's really special, like the white tiger." Bryant had one year left on his contract. ESPN's Adam Schefter and Paul Gutierrez contributed to this report.